Home to the University of Florida, Gainesville offers a lively downtown area full of youthful, artistic energy and a natural environment to match. 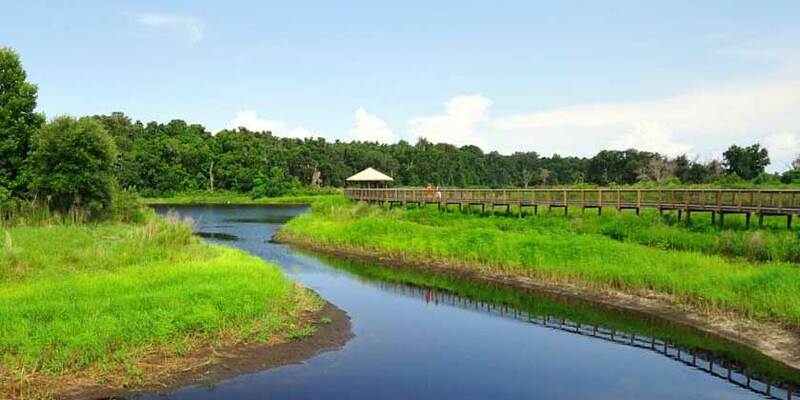 Explore more than seven miles of trails at the Morningside Nature Center, or Kanapaha Botanical Gardens’ 62 acres of lakeside forest and beautiful gardens. Or brave the descent to a 120-foot-deep sinkhole at Devil’s Millhopper Geological State Park, where streams tumble down the steep slopes into a miniature rain forest below.